Photographer Jasper Groen tells the moving story of Eric. Intense portraits and personal correspondence reveal doubts, family rejection and acceptance. Photos and text together form an universal call for understanding transgender people. Eric* is designed by the award winning studio Heijdens Karwei. Distinctive features include a special coated hard cover, fold-out pages and the use of different fonts to reflect on the mood of Eric before, during, and after his coming out as a transgender guy. It is more than a photo book. 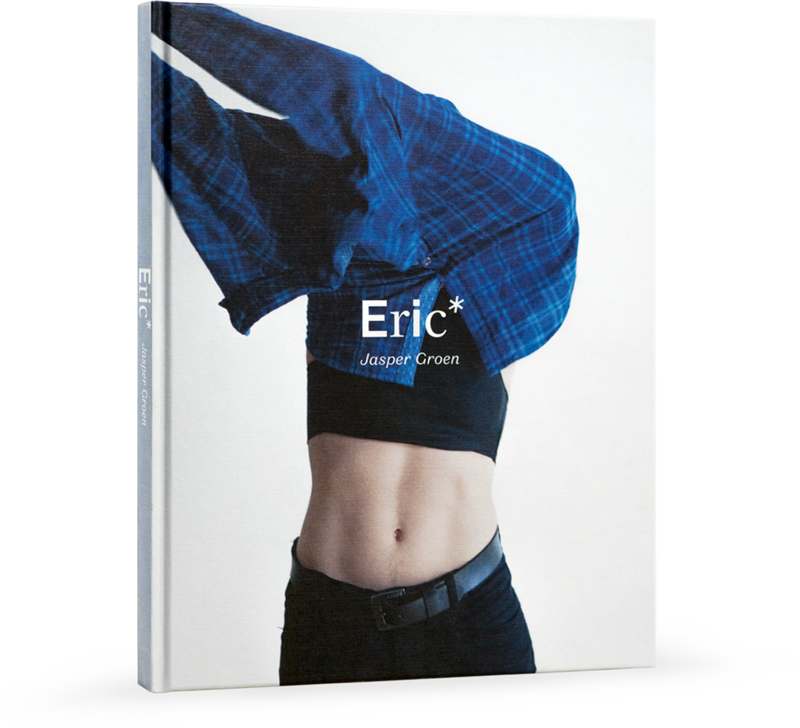 There are two sections in the book: in the first section Eric’s feelings are shown through a selection of portraits, made in a period of four years. The second half contains fragments of letters he wrote about the complicated relation with parents and his body. These letters are sometimes desperate, sometimes funny, but always honest and without censorship. The portraits become even more meaningful after you have read the correspondence. The portraits are subtle and sober, taken in front of white walls, lacking any kind of context. The main focus of the photographer is to show Eric’s emotions, not his body. This is because transgender people often have to endure private questions related to their appearance. Then again: nobody should be ashamed of how they look, so a few photos do give hints about Eric. Photographer Erwin Olaf describes the style as “whispering in an era when everyone else is shouting”. Jasper Groen is a Dutch photographer with an interest in young people and their search for identity. He has self-published “Jeffrey” (2006) and “Finding Emo” (2009), with “Eric*” being the third book. His works were displayed in museums, galleries and festivals, including Foam, Nederlands Fotomuseum and Photoville New York. “Eric*” has been exhibited in Parque de la Memoria, museum for Human Rights in Buenos Aires, Argentina. Recently Jasper spoke at QueerFest in Saint Petersburg, where he presented the book to the audience of the only existing LGBT-festival in Russia. Driven by motivation to meet new people and to understand them, Jasper continues to work to encourage his models and to reveal their personality through the lens of a camera.